Trying to plan your dream wedding is stressful enough. Trying to plan your dream wedding on a strict budget—well, that’s a totally different animal. Budgeting is the first step in any thoughtful wedding planning process. After all, you are confined to what you can afford. But with shifting traditions, many couples can no longer rely on parents picking up the tab. They face the lofty challenge of ‘footing the bill’ for the celebration. It’s not something every loving couple can afford, and that can cause financial anxiety. Regardless, wedding planning should be a fun and invigorating experience. Budget constraints not only discourage couples from getting married, but also deprive them of the opportunity to make memories from the planning process. Half the fun is in the build-up to making those vows. We are here to say: do not despair. There are ways to plan an incredible and memorable wedding experience on even some of the tightest budgets. 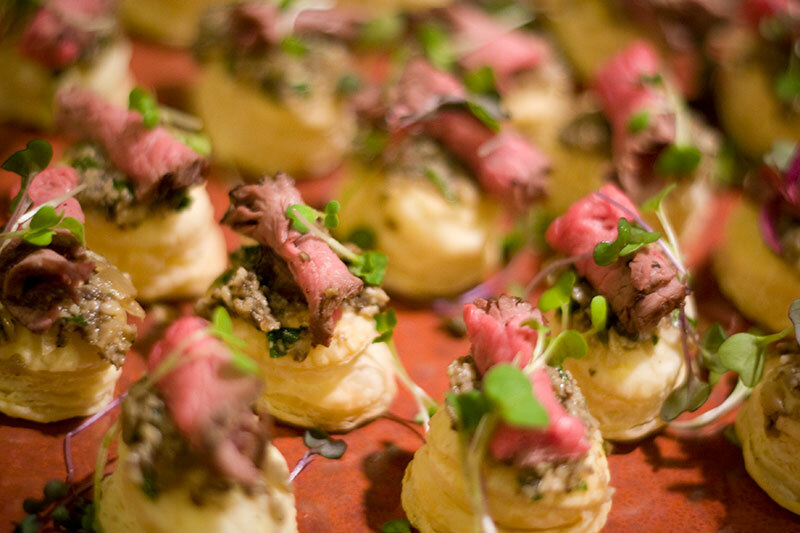 As a professional wedding caterer, we can give you three general tips on how to help make that happen! Plan a cocktail wedding reception. 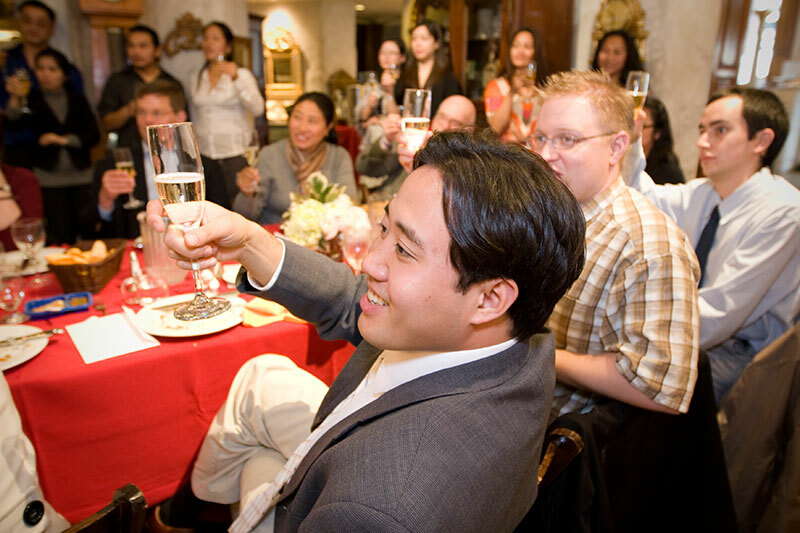 Rather than paying for a full meal for 100+ people, a cocktail reception with fresh, locally sourced appetizers is more budget-friendly and may actually help you serve more people. Cocktail receptions provide a significantly wider variety of food items. In lieu of two or three entrees/sides/desserts etc., a cocktail reception with 15-20 (or more) different small appetizer-style food items can be a very thought-provoking and cost-effective alternative that your guests will love. You can even get creative with alcoholic beverages and samplers. Serve brunch at your reception! Who doesn’t like eating breakfast for lunch or dinner? Brunch is a culinary institution, and when it comes to planning a wedding on a strict budget, it can be every bit as fun as it is frugal. Imagine including make-your-own pancake/omelet stations or a cereal salad bar at your wedding reception! It’s creative, cost-effective and wonderfully unique. Brunch fare can reduce your costs anywhere from 33-50% in contrast to a full wedding dinner menu. Another fun idea: how about a cinnamon roll wedding cake? Plan your wedding on a weekday. It’s time we debunk the myth—you are not obligated to get married on a weekend! In fact, weekday weddings can be amazingly friendly on you and your guests’ bank accounts. Booking your dream wedding venue on a weekday is cheaper and more conducive to actually securing it (less risk that it’s already booked). By getting married during the week, you can save money on vendor services (like caterers and entertainment), minimize your guest count, give your coworkers a reason to take the day off and create an overall more casual atmosphere for you and your guests at your wedding. Getting married on a strict budget is undoubtedly a stressful experience. But as you can see, it doesn’t have to dissuade you entirely from planning the kind of fun and memorable wedding experience you deserve. 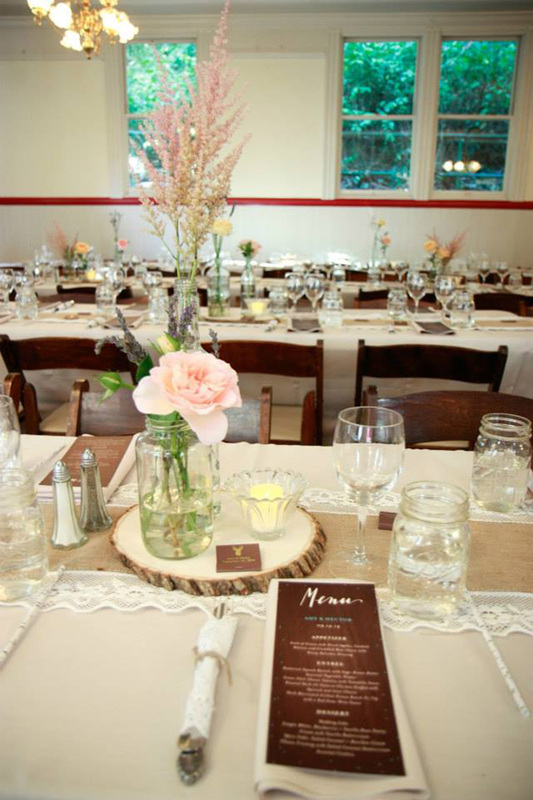 If you’d like to bring exceptional food and impeccable service for any budget to your wedding, contact our experienced San Francisco catering company online or give us a call.